Aloe Vera is marvelous. So easy to grow and maintain at home and tons of usage for skin and hair conditioning, I am amazed at the potential of Aloe Vera. I have always had a potted plant of Aloe Vera in my home. Rarely I have taken care of it and yet it has always been in our garden flourishing for years. 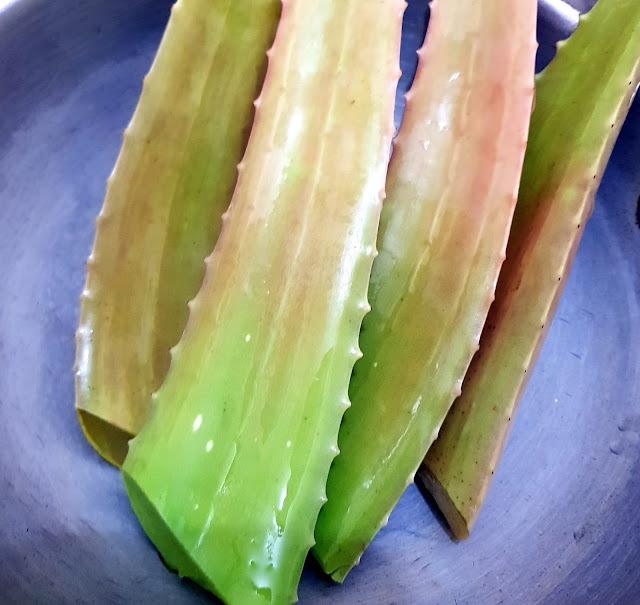 Often the ideas on skin care involve the usage of Aloe Vera, and rather than using the natural product, our fingers reach out for the cosmetic version in shops. This is really disheartening! 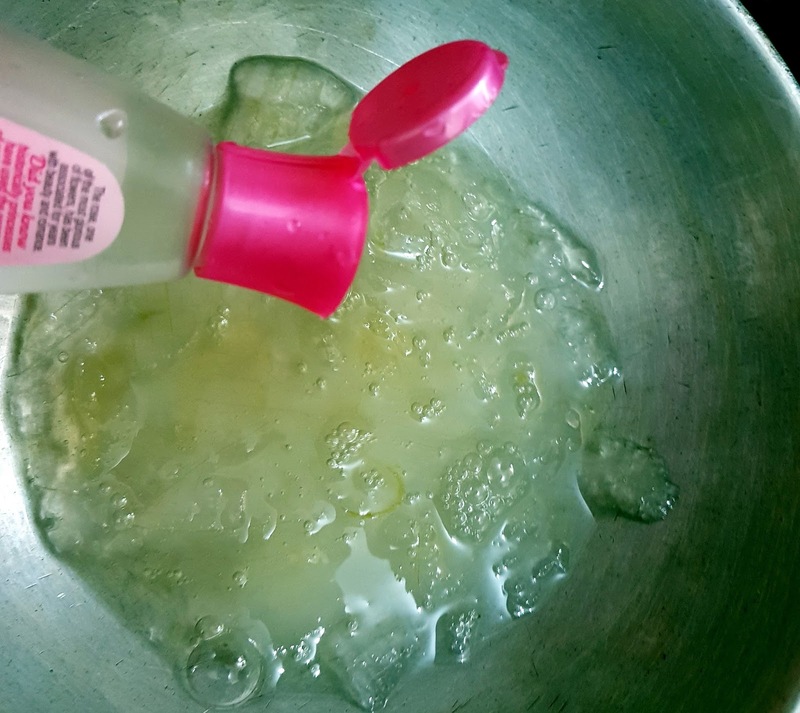 Today I used and going to share my way to using Aloe Vera as a tonic for hair and scalp. It is so easy that most will give it a pass. But remember the simplest things are the best. 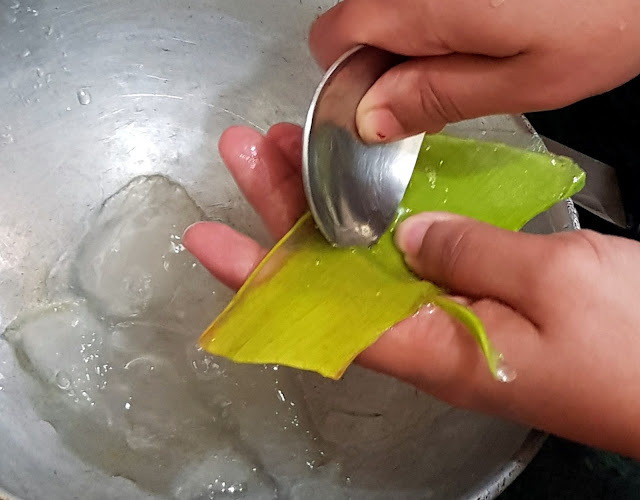 Cut 2-3 fleshy leaves of Aloe Vera from your plant. 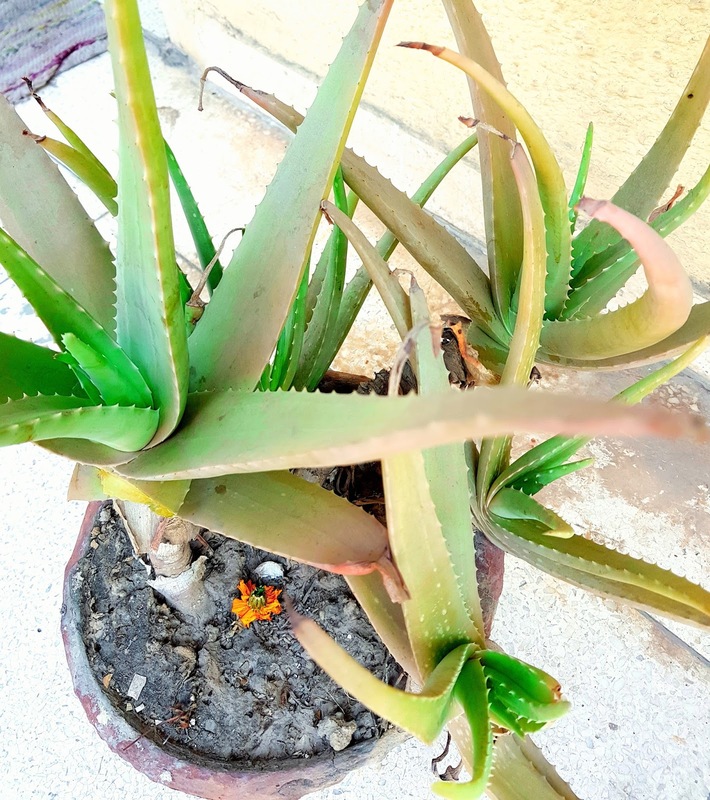 Do not worry about destroying the plant, because Aloe is very forgiving. It regenerates in matter of weeks. Under running water let the yellow sap from the freshly cut Aloe drain on its own. Trim the thorny edges for the safety of your fingers. 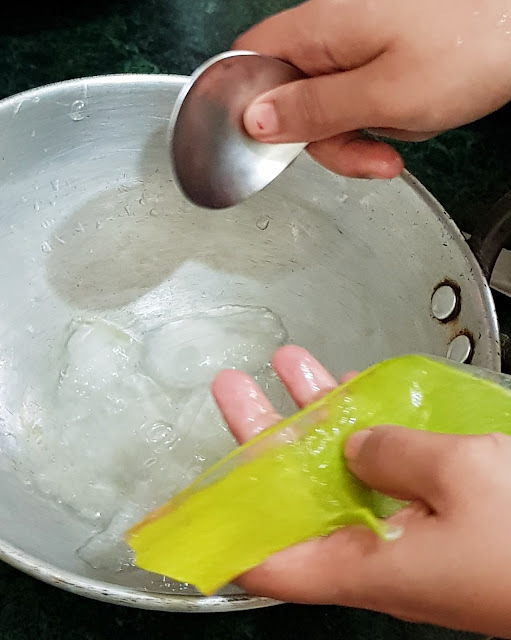 Now cut the leaf horizontally and begin scrapping the clear gel with the help of a spoon. Into this gel, add rose water about 1 tbsp. or as much you desire. The purpose is only to minimize the wild unpleasant smell of Aloe. 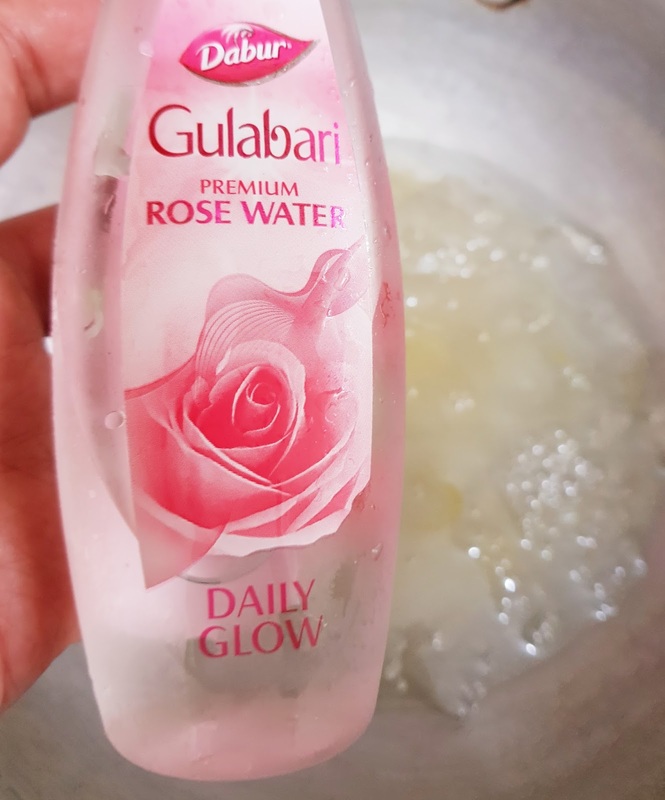 If you are completely okay with the natural smell of Aloe then omit the rose water. Now pulse the gel with the help of a mixie/blender. This is for getting rid of any kind of gel lumps. 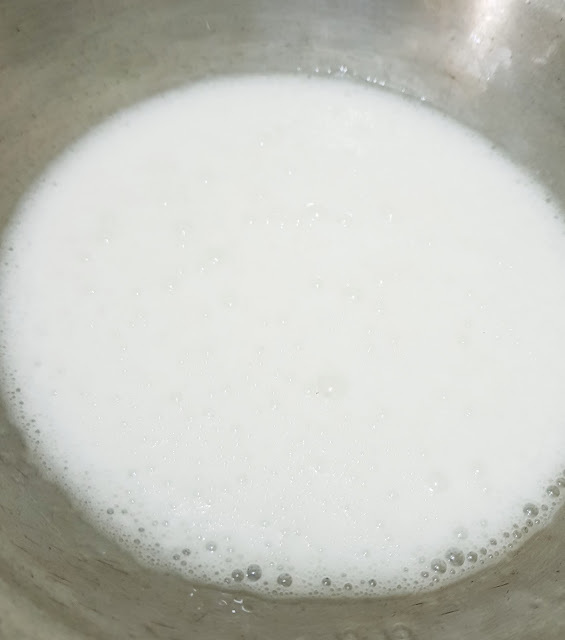 After pulsing, you will be left with a clear water like solution with a milky froth on top. And now, this is your tonic for hair and scalp. Use it atleast once a week on oiled or bare hair and rinse with either water or shampoo after 30 minutes. Immediate results are shiny and silky hair that feels nourished and overtime Aloe will improve your dandruff and dry scalp. As a bonus tip, you can definitely use a tiny bit leftover Aloe gel for face as well while you are applying on scalp. I will not recommend keeping the leftovers in fridge and use the next day because you will only be making the product stale, dry and contaminated. Therefore, make a small batch and whatever is the excess, slather on your whole body in the shower and finish it off. One of my favorite readers you are!